Last week we said goodbye to the STs on the Grampian Educational GPST Programme on their final day of group work. The STs were joined by their group leaders for a final feedback session - with obligatory cakes!! The feedback from our GPSTs is hugely important to us and the time taken to complete the feedback is very much appreciated. The feedback will be used to develop and strengthen the Grampian GPST education programme. Our plan is to publish the results of the feedback on the blog (watch this space!!! ), on Moodle (the North Region Training forum) and on visual displays here at NES in Forest Grove House in Aberdeen. 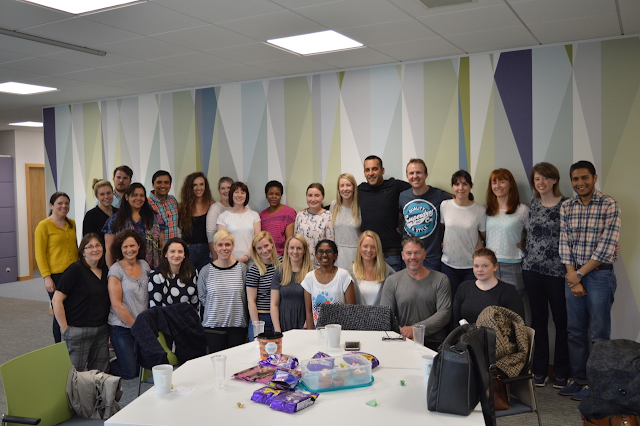 We'd like to wish the ST3s all the very best as they embark on their future careers in General Practice and look forward to welcoming back the ST1s when they return to practice in a years time.